NASA has a whole bunch of fancy cameras floating around in Earth’s orbit and many of them are peering outwards into the depths of space, but the administration keeps a close eye on what’s happening on our own planet as well. 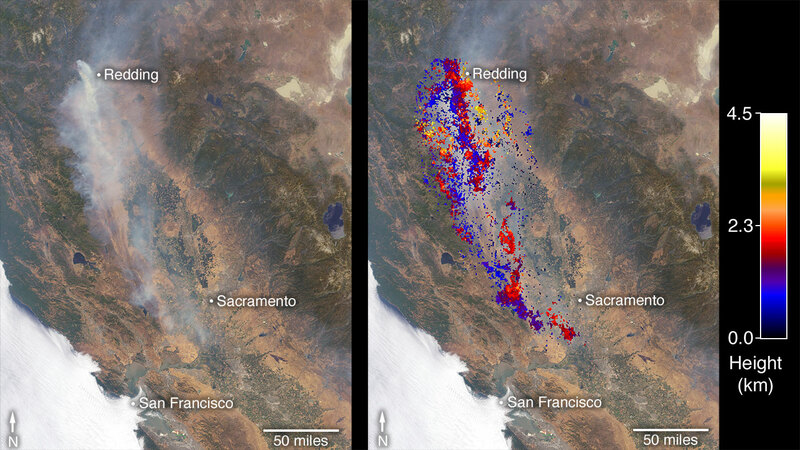 Recently, NASA pointed its Terra satellite towards the wildfires that are raging in California, snapping some stunning images with its Multi-angle SpectroRadiometer (MISR) instrument. The photos show the towering smoke columns from the wildfires stretching up towards the sky and being blown for hundreds of miles over the state. But what’s even cooler is that the MISR tool can actually calculate how high that smoke is going based on the angle of the observations. This isn’t just fancy sightseeing on the part of NASA; California officials can actually use this information to create action plans and warn residents. The hight of the smoke and direction of the fire is vital data that can keep citizens safe from harm. The California wildfires have already forced many residents to evacuate and leave their homes behind. Emergency response teams continue to battle the blazes as they spread across various parts of the state. 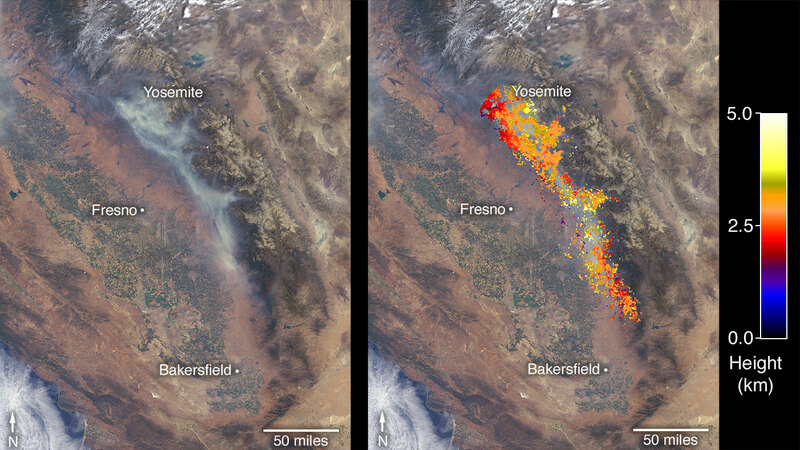 Wildfires like these have become something of a trend in the midsummer months and California residents have been dealing with them for a long, long time. Tools like NASA’s MISR can help mitigate their effects by giving emergency management teams an edge in forecasting and ultimately stopping them.